Vienna – Apartments in Vienna. Maps of Vienna, Photos and Reviews for each Apartment in Vienna. 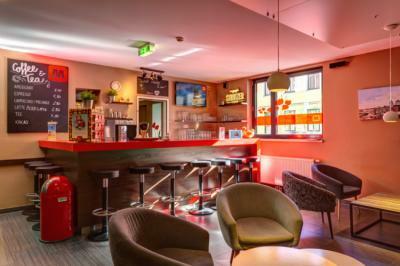 Looking for a hostel in Vienna? Look no further, all the good deals in Vienna are on Dorms.com. Like thousands of other people every month, book your hostel securely at the best price in all neighbourhoods of Vienna. 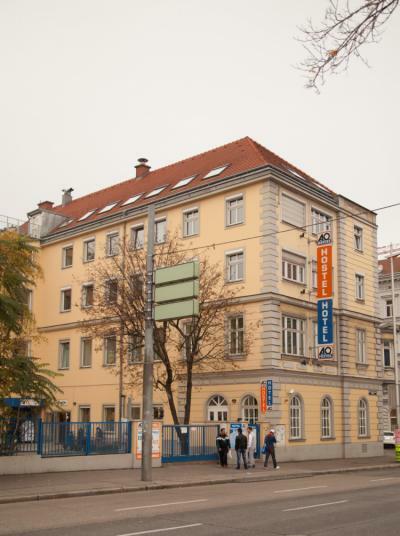 On this site, you can easily find a hostel downtown, in a trendy neighbourhood; a hostel in the student- university district, close to bus or train stations, airports or major attractions of Vienna. The main part of the Mariahilfer Straße shopping street can be reached in a 5-minute walk, and the Lugner City shopping centre is a 10-minute walk away. The Westbahnhof features a public parking garage and direct connections to Vienna’s city centre by underground. The A&O Wien Hauptbahnhof is located just 100 meters from the new central station where parts of the operation run since the summer of 2012 and will be fully operational in 2015. With this perfect connection the historic city centre with its numerous sights can be reached by foot in just a few minutes. 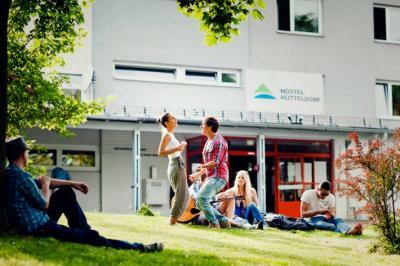 The central location of the hostel and hotel is ideal for those arriving by car or train. Right from the tariff, to the check in , to the 6 bed dorm. Everything at wombats was really very organised and very good. Very good location, very neat rooms, toilets were very clean,facilities were really good. There were many people i met at the reception , all the staff were really really helpful with the transportation assistance and the local things to do. There were really big lockers for each person.The common room was really comfortable and a very good place to socialize. Overall a very much recommended property . I'd suggest a better control in the luggage room. 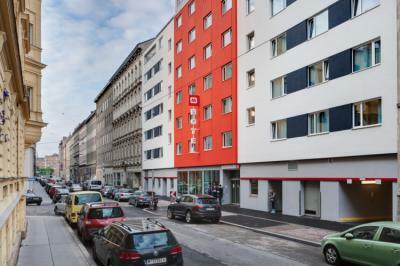 This hostel is located in the centre of Vienna. Good vibes and friendly staff. Based in center of Vienna´s second district it is only a few minutes walk to get to Old Town. Once you are there, pick from a multitude of cultural and touristic attractions including the Vienna State Opera. Belvedere Palace and St. Stephen´s Cathedral. 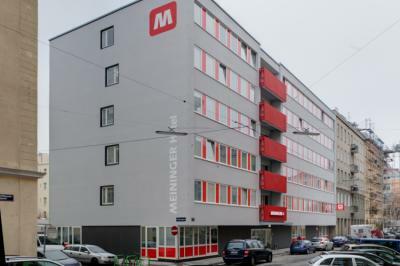 The MEININGER Hotel Wien Downtown Franz is in Vienna's second district of Leopoldstadt between Augarten and the Danube canal. The Karmeliter market with its many delicacies and Vienna's Old Town are just around the corner. Thanks to excellent local transport connections, the city's sites can all be reached quickly. This option is highly recommended for medium-budget visitors, it offers a four-star hotel service. It was excellent. The staff, especially the Spanish speaking girl were absolutely friendly, willing, attentive and helpful. Excellent lodging option !!!!! I found it really good, even if the hostel remains the efficiency and cleanliness of a hotel, a stone's throw from the center. I did 3 nights in the mixed dormitory of 6, not very large but with everything you need: two baths, one with toilet, sink and toilet paper and the other with a shower, sink and hairdryer (more or less working), both with soap and handkerchiefs available. Each bed has a support surface, electric socket and light. Bed linen and a towel are provided, bathrooms cleaned daily and rooms have air exchange (it is not obvious ... at least it does not suffocate at night). The staff is friendly and helpful. On the ground floor there is a kitchen space available, tables with chairs / sofas and pc stations. Daily bicycle rental for € 14. What can I say, I recommend! The rooms were very clean and the beds seemed very comfortable. At reception there is always someone willing to help and answer all the doubts. They also have computers for common use (very useful and free to use) and towels included in the price. The rooms have good views. The only downside is that the hostel is located 10 minutes from the nearest metro / tram stop but it did not take much effort to move around the city. Auberge super ! Lits confortables et propres. Salle de bain et toilettes niquel ! Ambiance et personnel sympathique ! Située un peu loin du centre cependant, mais transport accessible à 6 min à pied ! Petit dej un peu cher mais la cuisine est accessible à tous ! Je recommande ! You can take a tram or bus direct to Belvedere Palace or to central Vienna. 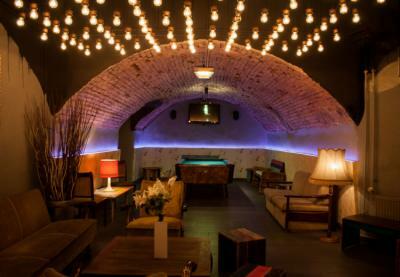 It is just 800 meters from Vienna Main Railway train station and 3.2 km from Historic Center of Vienna. Kunsthistorisches Museum is 2.7 km away. Rainers Restaurant and Akakiko can be reached within a 5-minute walk Kaffeemuseum Wien and Imperial Palace are also within comfortable reach. Erlachplatz bus stop is within a 5-minute walk. The A&O Wien is located just 900 meters or one underground station from the Westbahnhof train station. The historic city centre, with its numerous sights, is easy to reach due to the excellent connections. With its central location, the A&O is ideal for those traveling by car or with the train. We arrived, and there were no sheets, we sent an email for sheets, which apparently was done, only when we returned, the sheets had been used by other people. In addition, the cleaning had apparently not been done in the bathroom. It was awful. The mattress cover is plastic, the pillow stank of drool and the pled was just as nauseating. The first night we were 10 in a dorm of 8 due to a misunderstanding. No staff were available to solve the problem. The site presents very bad things and wants to make believe that there are rooms of 2 or 4 while there is only one dormitory, making some couples or families perplexed face this lack of privacy. Finally, the cleanliness of the bathroom leaves something to be desired. We booked on YouthFamilies.com a room for 2 at Travel Homes. What was our surprise when on arrival we discovered that the hostel only had a dormitory of 8 beds. It must also be known that there is no physical reception. The person in charge is available only by phone between 10am and 2pm. Do not rely on any information on the night of your arrival. The entrance to the building and the dormitory is not very secure (just a code lock, dysfunctional during our stay). Otherwise, the dormitory and the adjoining bathroom are clean, even if the plumbing looks old. Comfort is minimal. Disposable mattress protectors and basic polar blankets are provided, if there are any, otherwise we recommend a shop to buy. We had the chance to share the dorm with serious and friendly people, and our stay went well, but this strange inn was the source of a lot of worries. The staff was friendly and great however the place could use some improvement. On a lighter note, wifi was fast. The place is really close to a tram station which make it easy to arrive and go visiting. Corridors and bedrooms are clean and the price is pretty cheap. I was just a bit disapointed by the price of the breakfast that is quite expensive (7€). Bien située par rapport au métro , simple, personnel agréable ! The hostel is a chain that is also a hotel. The dormitories of 6 people are relatively small, the bathroom tiny. Sheets are not free, no towels available and the cleanliness is relative. I was put in a dormitory of 6 people with 5 men, which was pretty strange. So I asked to change, the smell became unbearable, one of the hosts was constantly dragging me, while another smoked in the room while everyone slept and I pass you the snoring ... in the end when I I changed to a girls dorm, everything was cleaner, the roommates more respectful. Do not hesitate to change or specify a mixed dormitory (recommended) Highlight of the hostel: a bar, a play area and what to eat at night (pizza, etc.). 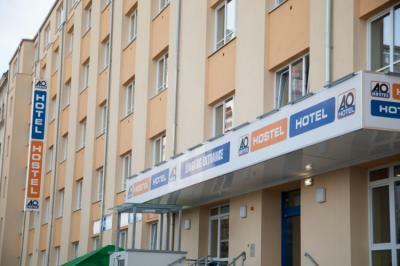 The hostel is not central and it is 20 minutes from the center by metro. That said, the staff is very friendly and always ready to help you. Practice for a short time! This hostel makes it easy to meet other backpackers. Clean room and location close to public transportation. Our Hostel is located near to the famous palace "Schönbrunn" and the zoo "Tiergarten Schönbrunn" With Metro you can easiely go to the City centre. 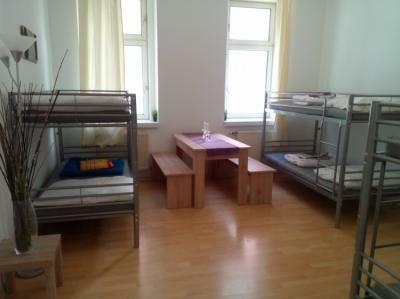 Our hostel is located right at the Central Station and is just a few kilometres from the center of Vienna. It takes you just 5 minutes using public transport to get to Old Town and it is there you can truly absorb the culture of the city- an assortment of museams and tourist landmarks are based here. We are quiet and the beds are very comfortable. Accès très pratique en métro. Chambres agréables et propres malgré un gros point noir sur la salle de bain et notamment la douche. Un petit déjeuner correct et complet. Un personnel très agréable. An environment that did not please me at all.